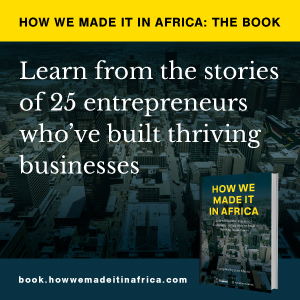 On my first visit to Ethiopia’s capital Addis Ababa in 2012, to attend the World Economic Forum (WEF) on Africa, I tried to stretch our company’s money by staying in one of the cheapest hotels I could find. Needless to say, I got what I paid for with an uninspiring room, bad internet and a bar area that doubled as staff sleeping quarters. One morning the barman greeted me in his boxer shorts when I went in to order a bottle of water! All the week’s functions and events took place at venues such as the Sheraton and Hilton, where most of the international visitors also stayed. The contrast between these properties and my own digs was a constant reminder that I’m a journalist, not a global businessman. But, on the last evening of WEF Africa, as I was taking the lift up to my room, a prominent regional KPMG executive got in as well. I thought that surely the company could afford to put him up in a better hotel, but he said everything in town was fully booked. It certainly made me feel better about my situation. The point of the story is that Addis Ababa has an under-supply of internationally-branded hotels. However, recent years have seen the situation improve somewhat, with Best Western International, InterContinental Hotels Group and Marriott International all entering the market. As the headquarters of the African Union, the city has a large diplomatic community and regularly plays host to international conferences, which increases demand for accommodation. The 162-room mid-scale Mercure located close to the United Nations Economic Commission for Africa. Anticipated to open its doors in 2020, the property will be built by Tihnat Investments Plc. The 135-room Ibis Style in partnership with local investor Metro Hospitality Services Plc. Also situated near the UN headquarters, the facility is expected to launch by 2019. The 230-room Ibis. It is set to start operations by 2021, and will be managed on behalf of Abay Technic Trading. Although AccorHotels already has a strong footprint in French-speaking north and west Africa, its presence in the eastern part of the continent is limited. It has identified the Ethiopian and Kenyan capitals as east African hubs where it plans to focus its activities, before moving to other regional cities. Philippe Baretaud, AccorHotels’ head of development for Africa and the Indian Ocean region, says only 32% of east Africa’s hospitality offering is internationally branded, compared to 62% in north Africa. Ethiopia is one of Africa’s fastest-growing countries, with GDP expected to expand by an average of 7.3% from 2016 to 2020. According to Baretaud, one of Addis Ababa’s appeals is its significant air linkages to continental and international destinations due to Ethiopian Airlines’ extensive network. All AccorHotels’ properties in Ethiopia are owned by local businesspeople, with the group only responsible for the management of the premises. “We have signed five hotels in Addis, with five different owners – all entrepreneurs, all diversifying their investments to have their first hotel investment, and all being good partners,” says Baretaud. However, the company, leveraging its global size, has assisted one of the Ethiopian hotel owners to secure financing from an international lender. Baretaud explains that a benefit of financing a development through an internationally-renowned bank is that they scrutinise all aspects of a project, which in turn boosts the value of the hotel asset and increases its liquidity. He says one of the main challenges holding backing investment in sub-Saharan Africa’s hospitality market, especially outside South Africa, is a lack of benchmarks for real estate prices, which makes it difficult to ascertain the true value of land.